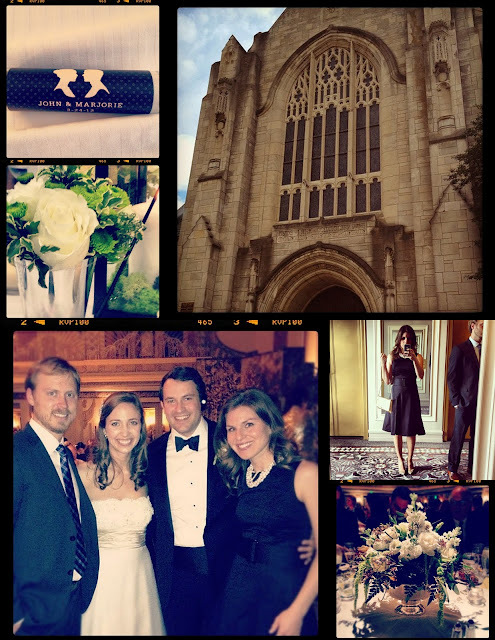 We had such a lovely time at J&M's wedding this weekend, I'm still gushing over the lovely details. We saw old friends and met some new ones, including the adorable couple behind Strawbridge Stuff. Their blog is the newest addition to my google reader; Katie and Bryan are as fun in real life as they come across on their site. Definitely check out their DIY ideas and house projects! Wow - Just stumbled upon your blog via Allison & Julie (Tartans and Sequins), who I know from college. And was happy to see another pair of familiar faces in this post -- I know J&M from working in DC! Small world. Love your blog - happy to have found it!